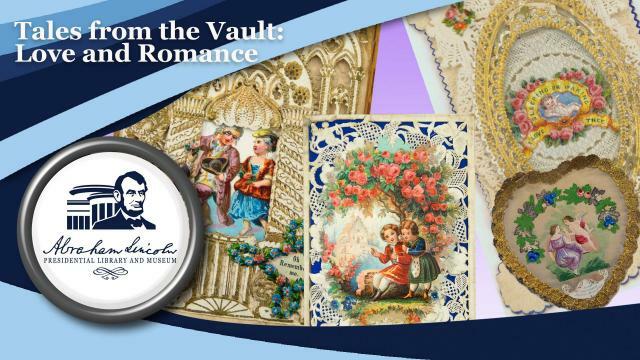 Tucked away in the vaults of the Abraham Lincoln Presidential Library and Museum are love letters, Valentines, romantic books, and beautiful pictures. See them for yourself and have expert Christopher Schnell explain their meaning, in a special Valentine's Day version of our Tales from the Vault program. The free program begins at noon, Feb. 14, in the Abraham Lincoln Presidential Library.